Thinking about trying out Evaporust in my fuel tank. Not sure if I need to run something else through it prior. My radiator guy said $70 to clean and if I wanted the liner kit, about $200. So might just try a do-it-yourself solution. Wondered if ospho might be a reasonable option, but opted against that approach. My drying approach has been a shop vac. Wonder if after letting it set, treating with ospho would be a reasonable followup. 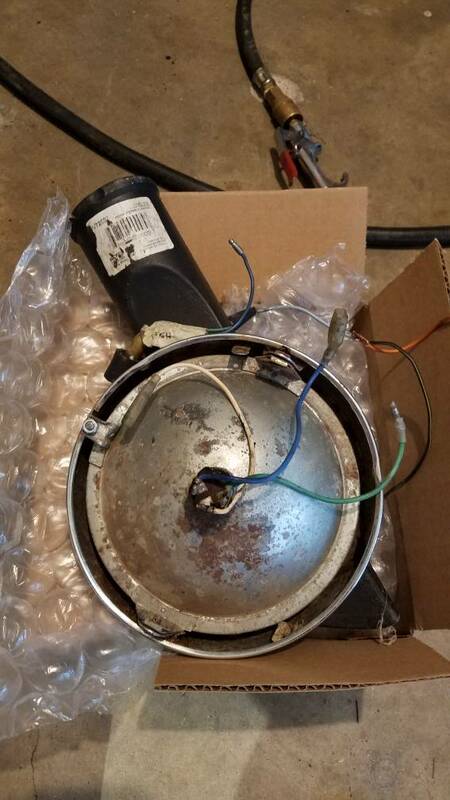 Lots of parts have arrived - factory style air filters, used filter covers for both sides, mirrors, right side controls (NOS), allen head bolt kits (two of them), of course the carb rebuild kits and aftermarket mufflers. Awaiting some rubber parts from 4into1 such as rear shock top grommet, side cover grommet kit, battery band. Somewhere among these parts are the handlebar mounting bushings (top and bottom). fuel tank gasket, fuel tank mounting rubbers, inlet manifold gasket. From a shipping perspective, common motor is great. David Silvers has yet to ship and order that was placed and paid for over a week ago. Four into one was prompt to ship. So should start on some repairs in earnest tonight, including filling the fuel tank with Evaporust and letting it set overnight. Replacing the necessary components from the right side controls (not sure if I will pull everything or just replace the housing if possible sparing me the joy of redoing cables). Also need to do an idle sync on the carbs (watched a video on doing that) and also the other carb sync. Both are simple in description. My muffler baffle wrap comes in tomorrow, so that will be good timing. My plan with the evaporust tank cleaning is to fill and let set for a day, drain and rinse, air dry with shop vac and air compressor and then swirl some fuel around in it to minimize flash rust while I await filling it. I've cleaned out a couple tanks with Metal Rescue, which is about the same thing as Evaporust. I am a cheapskate and bought only 1 gallon, so I had to reposition the tank every couple days to insure every part of the interior was submerged for about 48 hours. I was working on other things, so I didn't mind letting it soak so long. Keep in mind, the warmer the temps, the faster (and better) the stuff works. After rinsing and drying it, I sprayed the inside with WD40 to absorb any moisture and put it aside until I was ready to install it. Well overestimated my capabilities today. Tank is soaking with nearly two gallons of the rust eliminator. However, I stalled when starting to replace the right hand controls. 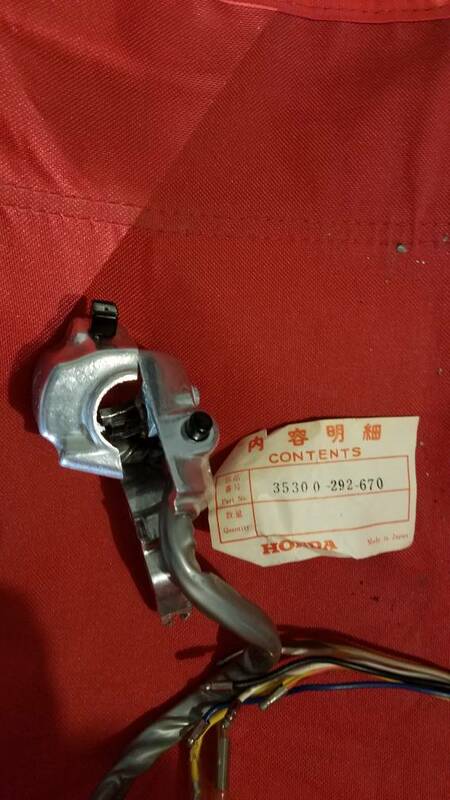 Even though the part number is correct, it doesn't have the brake light switch. Would appreciate a suggestion on how to move forward. Also ran into a little bit of a mess in the headlight enclosure. Not too bad, but I went ahead an disconnected all and pulled the headlight bucket. 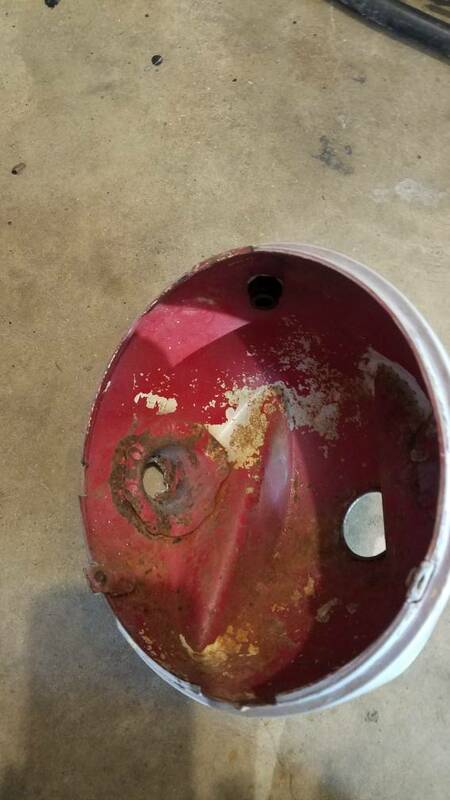 Bucket is damaged. Right side is missing the nut. A few of the wires were hacked pretty bad. On a simpler challenge. How does one install the grommets in the side covers. Back to this - were these built into the actual cable. I guess to put it another way, is the switch on my bike now what was originally on the bike. Since this bike has obviously had some damage on the right - based on the bucket - perhaps the switch was replaced previously. the other answer, should I move forward with my existing, new part? Back to this - were these built into the actual cable. To be completely clear - your bike had a brake light switch integrated into the cable originally, so that when the lever was pulled it compressed the sections of the switch and made the contacts touch and turn the brake light on. That method caused a "springy" feel in the cable and made the front brake feel a bit spongy as described above, so later models - after yours a year or so - used a switch located in the lever perch. 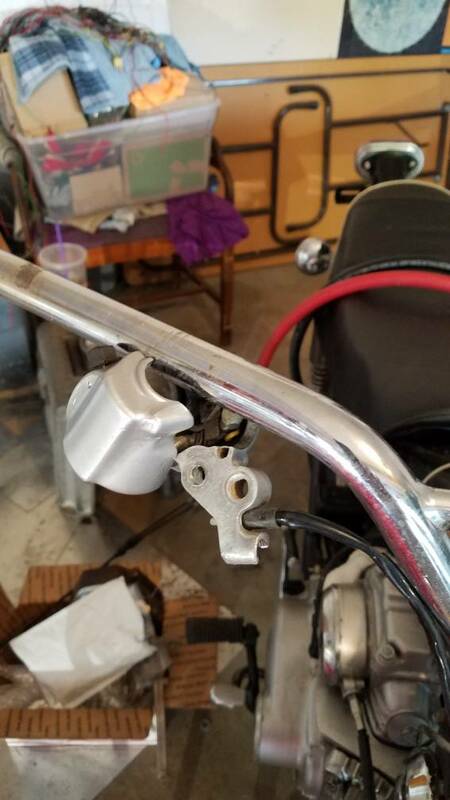 To convert to the later, smaller switch, you would need a later version lever perch, whether the original style that also was part of the right handlebar switch (headlight/starter button) or the even later version that was just a lever perch alone. I guess to put it another way, is the switch on my bike now what was originally on the bike. 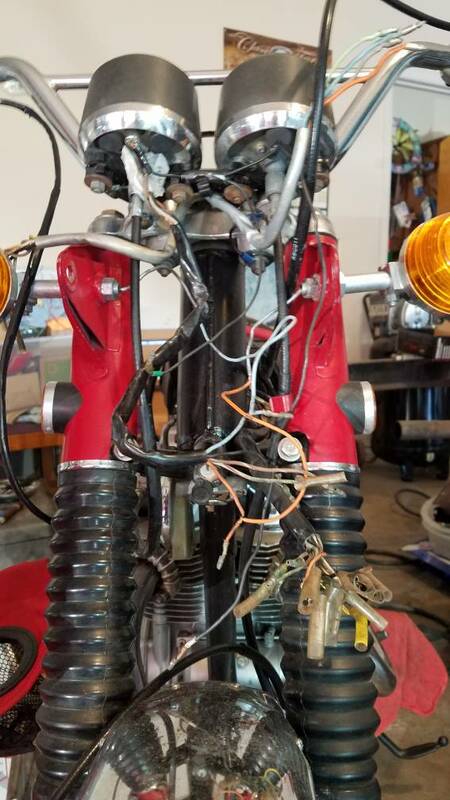 Since this bike has obviously had some damage on the right - based on the bucket - perhaps the switch was replaced previously.